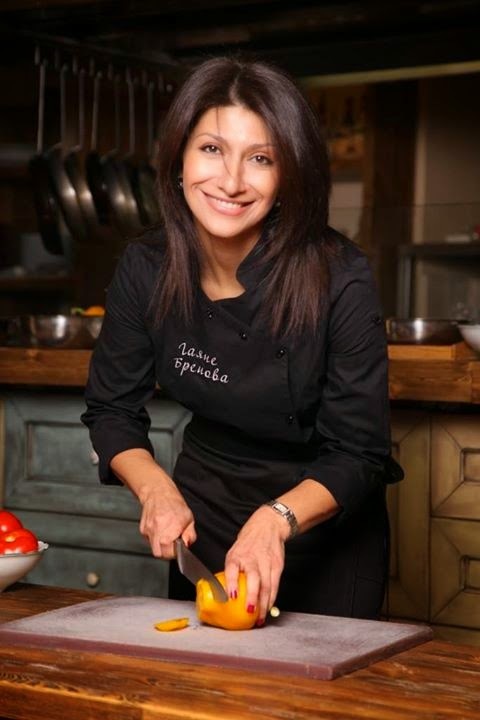 GAYANAT - eng: RESTAURATEUR GAYANE BREIOVA. ABOUT LIFE PHILOSOPHY. 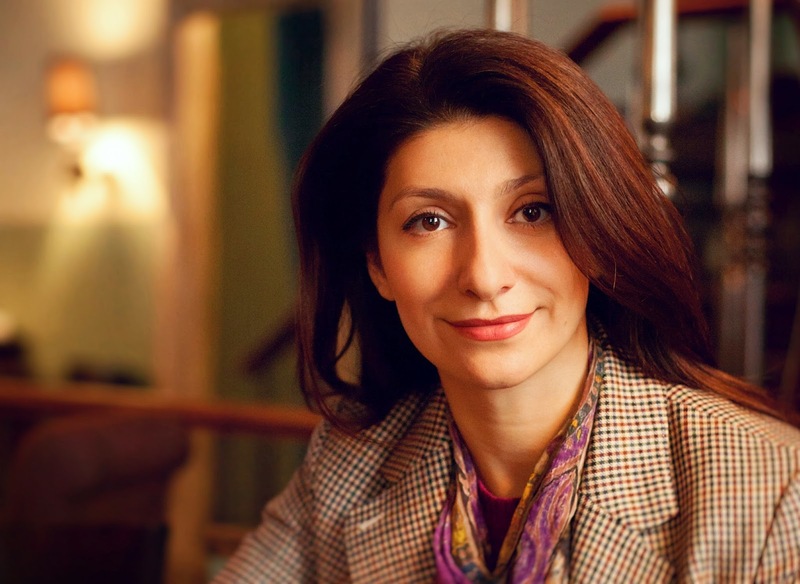 RESTAURATEUR GAYANE BREIOVA. ABOUT LIFE PHILOSOPHY. 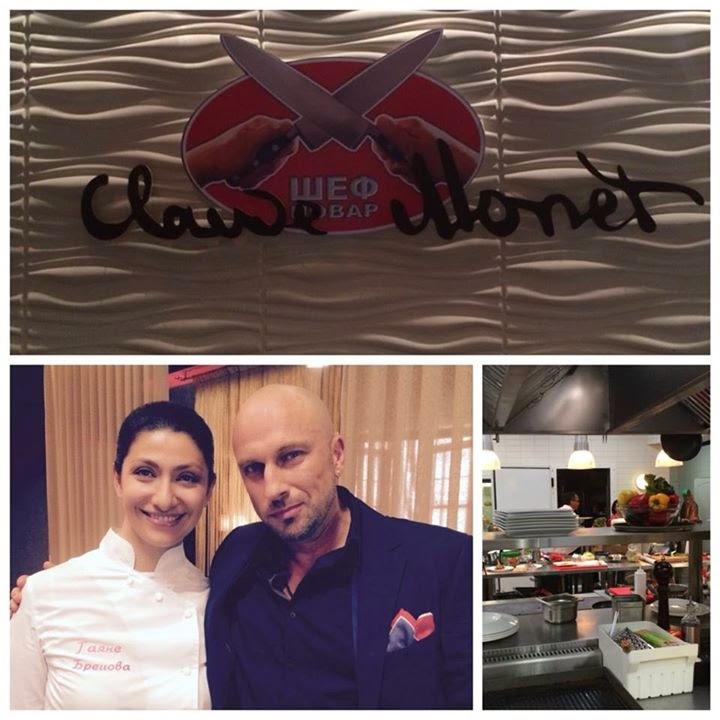 Successful restaurateur and TV-presenter, Gayane Breiova, is, arguably, one of the brightest persons of gastronomic Moscow. In spite of severeness of metropolitan business and occupation in many projects, she manages to save steadily optimism, energy and genuine love towards people. Our explicit interview with Gayane Breiova is going to be about occupation, children, intuition and life principles. - Let’s start with one of the most popular questions. How would you describe success? - Success, like all other things, is a relative term. For some people it is realization of a mission and understanding that they should help people and create. For some people success is giving birth to many babies and being a wonderful mother. For me success is the ability to combine different qualities. That is why it is almost impossible to talk about success, to my mind. What do we need for success? We need a character, charisma and ability to take risks. You need this inner power to not to be afraid of taking risks, even when there are periods of misfortunes; this power helps to move forward in any case. So, for me, success is a presence of the Character that a person either has, either lacks. - Having studied your interviews, we have noticed that the charity issue is quite important in your life. How is helping people important for you, what does it mean? - Primarily, this means helping yourself. Through helping we help ourselves to grow spiritually, to become more humble, large-hearted, also to develop valuable personal qualities. That is why this is my inner necessity that I feel. I am not doing charity in the volume I want to, but when I have this chance to do it, It gives me a lot of joy. - What about communication with people? You are a public person, how do you manage to get on with so many people? - There are many ways. I have a lot of energy. I used to give it in a very big amount that It was easy to encourage huge crowds of people with my energy. But now I can manage it, I am very careful with this gift that the God gave me. That is why communication is energy-consuming for me, but I share with people anyway, as it is exchange process of emotions and knowledge. Also I try to communicate with kind people, as kindness is a very important inner core in a person. Recently there has been a meeting with Caucasian women and students (young ladies), about 20-25 people. They all waited for the meeting. I am glad that I am interesting for people and they want to talk to me and to ask questions. So, there is different communication: there is professional communication, where I grow with other people (it is very important always to develop in a crazy pace of Moscow); also there is communication with children, with my daughters that brings me special joy. I feel the deepest emotions while interaction with my daughters. - Do your children live in Moscow? - The elder one lives in Brussels. She is a professional choreographer. She has been living alone for quite a long time, from the age of 16. For Armenian mother that was a tough move, but I didn’t have any choice. When a child makes own choice, parents have only one choice – to accept it. The younger daughter lives with me, she is 12. - Getting back to the topic of success, how do you think, is there a “success gene”, is it (the core) transferred from parents to children? - Sure (is laughing). As my cousins says, DNA is inevitable. I would boast that my daughters have different energies. They both have understanding of their integrity. Quite often I notice that I learn a lot from my children. My younger daughter is the soul that, probably, had lived many lives, she is amazing. - So, do you believe in karma that soul lives many lives? - I believe in a human. As it is said, intuition is from God, sense is from human. I trust intuition (meaning God) more. I think intuition has more experience and we should listen to it, we shouldn’t follow our fears – instead of that we should say: «Yes, heart, I know you are afraid but we are going on!» If our heart needs something, we should be able to listen to it. What we have inside our souls is more interesting than what is surrounding us. - Did you have critical moments in your life when you turned your life around? - I am very risky person. As I said, a person running a business should have big will power and character. This is not posh – this is true. If a person doesn’t have great internal power, he should admit it and work in a different area, meaning that this type of person should not run a business, he should be a hired employee. Being honest with yourself is the most important thing. It is very painful and wrong when people make wrong decisions in terms of their talents and their life path. I changed many things in my life. I remember how at the age of 19 I decided to divorce and risked to come to Moscow with 1.5 year old baby without money, without citizenship, without connections. That was a tough risk. But at the age of 19 it was obvious that my life would be interesting. - Gayane, your nationality is Armenian, but European mentality is not strange for you. How do you think, where is the border line between nationalities and, especially, in you? - From top to toe, 100% I feel myself belonging to the great culture that has great roots and traditions. In my opinion, person that is truly respecting and knowing his culture is able to respect and accept other cultures. In this sense, I am absolute Armenian and I really love this condition. And I love the authenticity existing in me. - Simultaneously, can you also describe yourself as a cosmopolitan person? If yes, in what particular aspect? - Yes, I am absolutely cosmopolitan person, as I really love people. By the way, a person that has restaurant business cannot but love people. You go through great flows of information and people and you have to feel every person, to see in a second how to treat him, how to make his timing pleasant. We don’t just compete with restaurants, we compete with sofa, with nice bottle of wine. This is a different level of competition. Nice interior, delicious food, service of high quality – these are not enough nowadays, now we can sell only emotions. From my early childhood, in Armenia we were taught that we should respect and love the bread feeding us. My bread has been feeding me for 20 years – since I have moved to Moscow. I love the culture surrounding me. I love this city that is reciprocating me. If I have told once: “Oh, I am so tired and I don’t like this hustle and bustle!”, the city would reciprocate immediately. Moscow city doesn’t like weak people. This is a good place for selecting-out. That is why you have to mobilize your energy and love everything that is surrounding you. In this case you will receive your love back with gratitude. - Oh, that’s great. If we observe environment, national issues are still tense. What is the role of gathering nationalities? What it might result it? - In fact, I have never felt racism towards myself. Moreover, I was always proud and happy that I am Armenian. Because of our national qualities (flexibility, creativity, hospitality, millenarian consciousness), I have never felt any shame for our nationality. I think, that national issue is just in your head. If a person considers it as a problem, then it will be a problem. Integration should be, you should respect people, speak language and read literature, understand and feel mentality. So, you should be able to save your authenticity, to be a culture bearer wherever you are, but, at the same time, to be connected with people you are living with. It should be balanced. I always say that food combines people. Gastronomy doesn’t have any nationality. Yes, there are different cuisines, but gastronomy (in general) is without nationalities. So, my work area shows how you can be combined with people regardless of culture, religion. - So, who mostly does visit your restaurant? Who are your customers? - I have 2 projects. In the Armenian restaurant GAYANE'S there are about 30-40% Armenian customers, about 40% - Russians, 15-20% - foreigners. This is, in fact, what I wanted: to make a balanced public catering enterprise, with the help of which we can present our culture, food and traditions. Second project is "PANAEHALI". This is absolutely modern project as we straightly say: “Yes, we overrun here, but we do like it. We hope that you also will like it. We live in a great city and this is our choice. We create for this city and it’s great that we can share with you". People are different here. Many Moscow residents like this ironic name and interesting interior and they visit this place. So, it is hard to define clearly the visitors here. - Gayane, you told that intuition and love to people are very important for you. Apart from that, what else do you value in life? - Jodi Foster in the interview of the magazine "Esquire" said: "I think a woman becomes more intelligent by forty". Soon I will be forty. On one hand, I don’t like this number, as I want to stay within 30, even less (is laughing), but, on the other hand, I like this interesting feeling. Woman at the age of 25 doesn’t have what she can have at the age of 40. This is incomparable. I love this transformation, I have become interesting for myself now. - What happens at this age? - New self-realization. You are still searching (it’s important to stay in this condition), but you stop saying claptrap. I used to be a horrible perfectionist. I am still even now. For example, in business I demand ideal performance of duties, without compassion. I don’t have compassion about myself and I demand it from others. But, at the same time, now I have more love, I have become more gentle and milder. So, this is a very interesting period of transformations. Values… I even won’t speak snobbishly about values like family, career… it’s a rubbish! I am just interesting for myself and I really like all changes that are happening from the spiritual point of view. - How can you describe yourself in a three words? - I am charismatic, strong and loving. - You said that person should always search. What do you search, in the philosophical respect, according to your personal life vision? Perhaps, you have looked forward and thought of what is waiting for you? - I am searching only for myself. You know, many moms, including Armenians, consider that they should fulfill their dreams through their children and they should control their life. To my mind, we all solve our separate issues. That is why I never dictate my daughters how to live. I just can’t do it. I brought to life only 2 children, not 5, like my grandma did, – this is also reason. I hope that I will work even when I get old. I don’t want to stop, sometimes I make short breaks to breath in new power. I don’t want to have the feeling of boredom and aging. Age is in people’s mind; I don’t like the word “coming of age”. Yes, I will be older and I will have a new understanding of life. - By the way, speaking about future. Do you have any new projects in the future? - With the First TV channel we have made about 5-6 documentaries. We went to different parts of Armenia, we shoot local culture, living and cuisine. Soon, we will see these films in “Tele-café”. Recently we have returned from Armenian trip with 14 gastronomic journalists. It was important for me to change a perception about Armenian people, so that people would stop thinking of Armenians as “kebab-makers” and I am happy that I managed to present my country with millenarian rich history and culture. 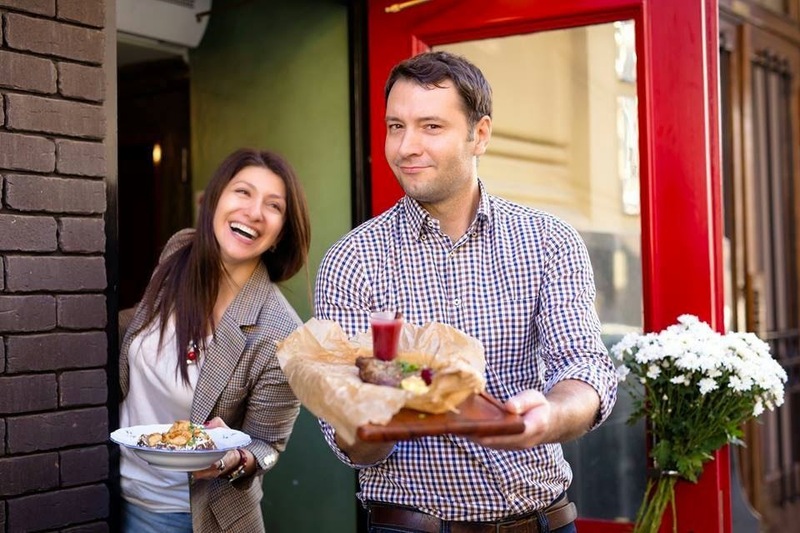 It’s very crucial to keep a balance in time when many restaurants are being closed down. Stability is important, that is why you should work hard to make your business to work. Soon, at the end of October – beginning of November, I am opening new project for my friends – restaurant “Skver”. There is going to be my original cuisine, I have taken a risk to create a personal menu. It is a challenge for me, as I am not just a director, but I am also cooking restaurateur. There are many TV-projects where I participate; quite often I am invited to openings of new places as a restaurateur. So, there are lots of plans and activities. That is a great marvel how life brings a person (maybe via indirect paths) to the fulfillment of his dreams. I wanted to be an actress and to perform, I had dancing and theatrical education. That is interesting how I came to being a public person via gastronomy. I participate in TV programs, in films. All these things confirm again that the ways of God are inscrutable. You never know how your dream might be fulfilled. So, I never stop repeating that it is very important to listen to your heart, to believe in yourself. - Gayane, you was speaking about Character, including qualities necessary for having own business. In this context here is a question: is there any border line between male and female qualities in your personality? How do you imagine the point of balanced combination of yin yang in yourself? - There are a lot of male elements in my character. At the same time, I believe and I hope, that I manage somehow to stay feminine. If there is any border line… there is, but it is difficult to control. So, it is very challenging to switch easily from a demanding director into goody-goody. It might sound strange, but I think that it is not good for a woman to be financially independent. Once a woman becomes independent, she gets hardly controllable. All in life should be controllable. So, pure partnership is a pack of lies. There are different models of partnership, different models of relationship between man and woman. What is ideal for me might not be ideal for you. It is the matter of internal honesty. I often say: it is impossible to be partly pregnant. If you want freedom as a woman, this is one thing, but if you want to have authorities, then you must also take charge (in the same volume). You can’t say: "I want to do this business and this and this ", - and when there is a tax inspection, you say to a man: "Will you protect me, won’t you? Will you do all for me?" it won’t work, that’s not the issue. That is dishonest towards a man. You either let him to guide you (in a good sense), you let him to take charge of you and you are gentle, obedient and etc. – meaning that you have all necessary qualities for women, OR you become the master of the situation. Sometimes I catch myself thinking that the burden that a woman takes (like in my case, for instance) doesn’t let her to be gentle and strong simultaneously. It is not possible to be in both parts in the same harmony. And if some man appears that will tell: "I will shoulder everything", I am not sure that I will agree. I used to live with the European man more than 15 years and he gave the freedom that I could cope with (although, that was a long process). Now I feel in a comfort, I am used to responsibility that I took. But, simultaneously, I am feminine and I am happy that I manage to combine yin and yang. - Time we are living in now is very complex, stressful and unpredictable. How do you think, what can save this world?